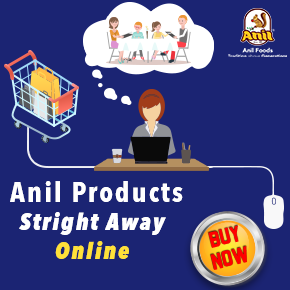 Anil foods exotic nutrient filled Kozhukattai flour is the perfect choice for a whiter, softer, outer shelled kozhukattai that will melt your heart. With such a delicious, nourishing and sacred snack celebrate this festival and spread your love, a simple to prepare the dish, a tasty distinct treat to which anyone will get healthily addicted. 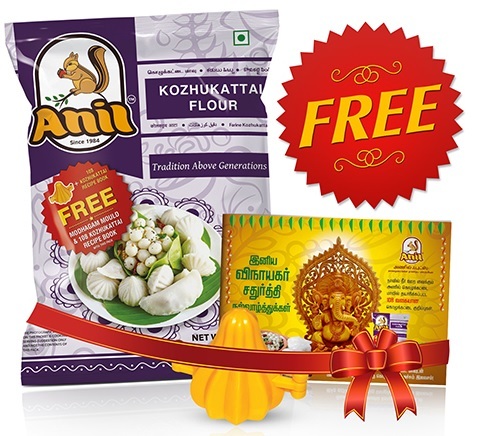 Grab this wonderful festive offer from Anil foods, with every Anil kozhukattai 500gm flour pack you will get an interesting and exotic collection of 108 kozhukattai recipes in the form of a booklet, and a beautiful kozhukattai mould to prepare the dumplings in perfect shapes and sizes.